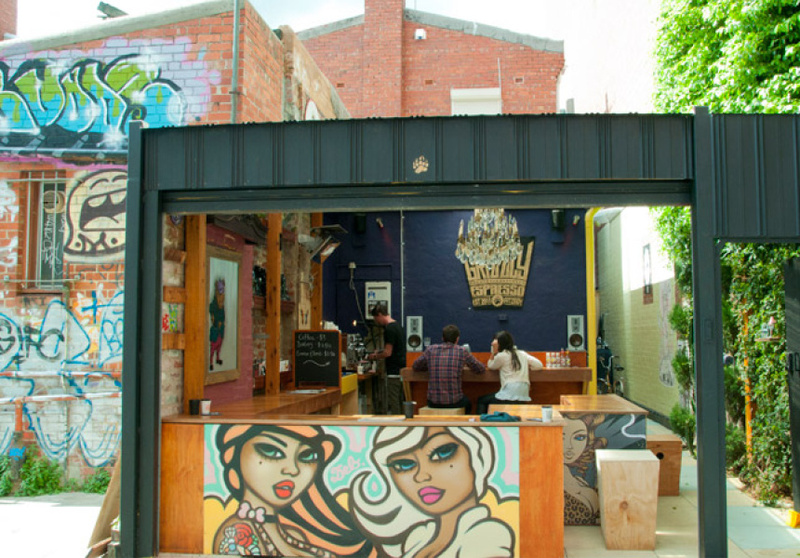 Born in the backyard of an apartment, Fitzroy’s latest urban cubbyhouse breathes life into an otherwise forgotten laneway. Grizzly Espresso is not a cafe that easily falls to comparison. 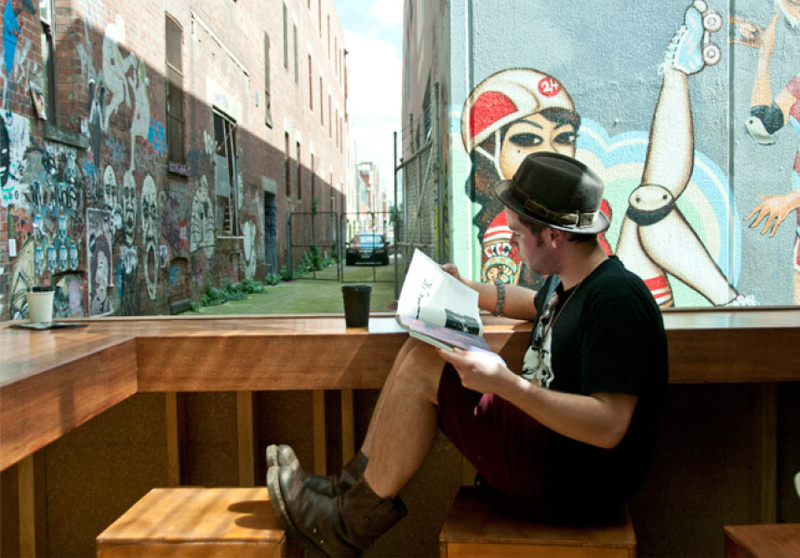 The inventive space, tucked down an inconspicuous laneway in Fitzroy, was once owner Conor Burson’s backyard. Four weeks later, with the help of some creative friends, it is now a laid back cafe serving up Toby’s Estate Coffee. 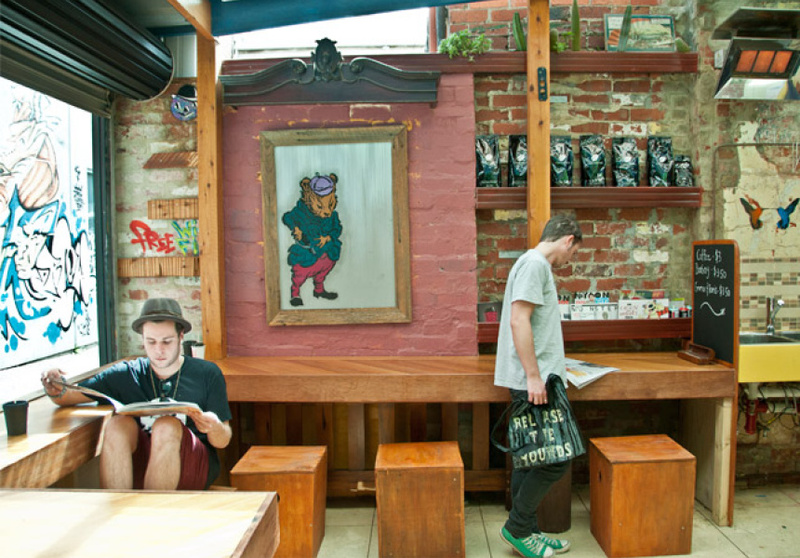 Grizzly Espresso’s charm lies in its casual approach – reading material, an outdoor heater and free half-hour wi-fi make it an easy place to while away time on the unvarnished L-shaped bench. 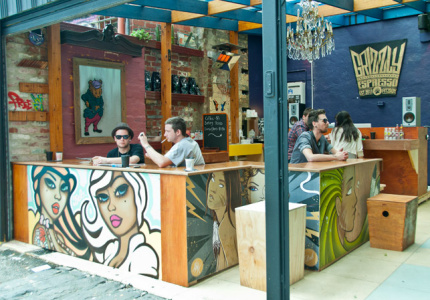 Potted plants and homemade wooden box seats punctuate the space, while Burson has commissioned his artist buddies ‘Flake’, ‘Deb’, and ‘Monkey’ to add some colourful touches, giving the space a grungy feel. For Burson, who still lives upstairs, the cafe is about fulfilling not just his penchant for good coffee but his need to create. As night falls and the liquor license ensues, don’t be surprised if Burson – who has a background in music – or one of his contemporaries take control of the beats. Burson also doesn't mind if you BYO food providing you buy a drink.